Texas Conservative Republican News: Urgent! Texas State Rep Says Fellow State Reps Have Fled to Prevent a Quorum and Stop Voting in Special Session. Wisconsin All Over Again? Urgent! Texas State Rep Says Fellow State Reps Have Fled to Prevent a Quorum and Stop Voting in Special Session. Wisconsin All Over Again? “There is currently a Standoff in the Texas Legislature and I have been told that as long as the Sanctuary City issue is still in the air, these State Reps will not show up and there will very likely not be enough State Reps to have a quorum, just like the Wisconsin standoff”, says my State Representative source. Over the course of the Texas Legislative Session I keep in touch with several Legislators. Yesterday evening I talked to one State Representative who told me some troubling news. Just yesterday, June 24th, 2011, there was NO voting allowed in the Special Session because there was not a Quorum. There did not even need to be a roll call because just looking onto the floor of the Texas House of Representatives it was clear that there were not enough people. Well over 50 State Reps were missing. Obviously there will be those who ask to be excused for various reasons like emergencies or other important matters, but that list of excused members only had 15 names on it. So where was everyone else? This State Rep informed me that, although no one is saying it publicly, many of these State Reps who did not show up have said they would not show up as long as the Sanctuary City Bill is being considered. I know what you are saying, the Sanctuary City Bill is dead right? Yes, with the help of some Republicans like Byron cook, the bill did not make it out of committee. But a Sanctuary City Amendment is planned to be added to another bill. That will limit debate on the Sanctuary Cities legislation and secure its passage with a simple majority vote. “There is currently a Standoff in the Texas Legislature and I have been told that as long as the Sanctuary City issue is still in the air, these State Reps will not show up and there will most likely not be enough State Reps to have a quorum, just like the Wisconsin standoff”, says my State Rep source. It looks like we might have Wisconsin all over again! Except now it is happening in Texas. These State Reps are not showing up for work simply because they want to keep the majority of the other State Reps from passing a bill that they do not like. 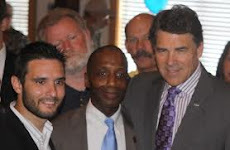 I suppose it is not enough for these State Reps that there has been more than one Houston Cop killed by an illegal Immigrant see here and here. These murders would have never happened if police officers were allowed to check Immigration status of everyone that is stopped for committing crime or a violation because these killers would have been identifies as illegal long before the killings. Don’t misunderstand me, I am for immigration and certainly have many Hispanic friends, like fellow blogger Adryana Boyne. But it has to be done the right way and there is a process that has to be followed and breaking the law is not the way to start off coming to America. Most importantly, we have to keep these criminals from entering into America and killing police officers. But Wait, Texas has 101 Republicans right? The Democrats don’t even have to show up for there to be a quorum. Yep, you guessed it, there are Republicans who are part of this group of defectors. But State Reps fleeing to prevent a quorum in Texas is not something new. In 2003, years before the Wisconsin standoff, Texas had 51 Democrats flee the State in order to put a stop to any legislation getting passed. Shame on these Democrats and some Republicans. Whoever you are, get back to work and stop wasting the taxpayer’s money in this special session. Could this information be wrong? I suppose this State Rep could be misinformed. But this State Rep source would not tell me something if he did not believe it to be true so I know that this State Rep and his colleagues believe it to be true, and it seems as though it is true since yesterday in special session there were over 50 State Reps mysteriously not there. That does not happen very often unless there is a reason and this State Rep believes that the reason is a Sanctuary Cities standoff. I hope that we keep the Sanctuary Cities Amendment alive and I hope that our State Reps decide to show up on Monday and do the job they were elected to do… go ahead, prove us wrong and show up on Monday…. It could get very interesting though if they decide to keep the standoff alive or if the other side caves in and drops the Sanctuary Cities Amendment.